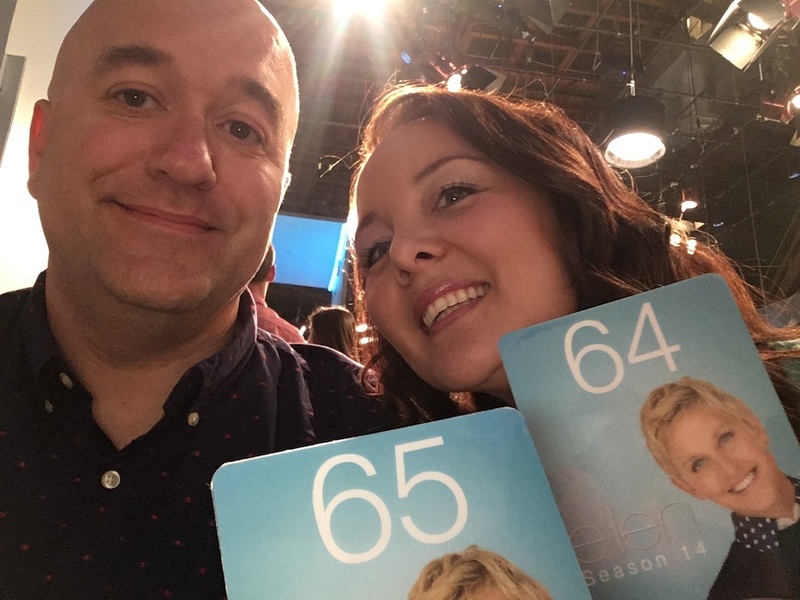 Periodically, the Ellen Show opens up their website to accept ticket requests for a select range of dates. That’s a great place to start! 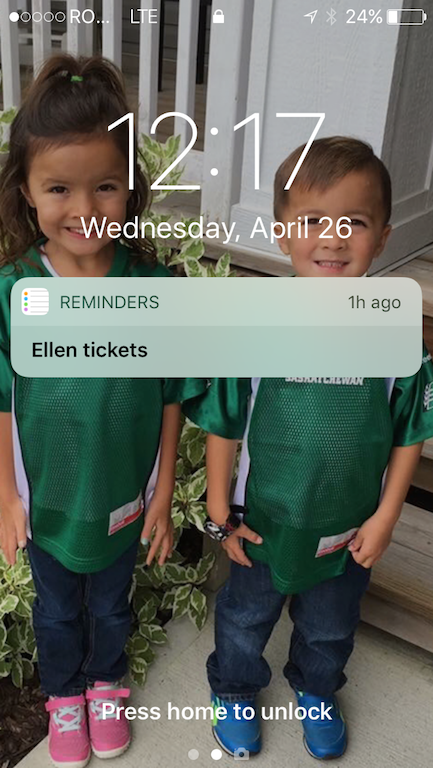 To keep things super easy for you (because I get how busy mom-life is), here is the link for you: Click here for the ticket request page to the Ellen Show! Now, I will tell you that my experience is that you have to submit many times since the demand far exceeds the supply so, don’t give up and keep trying! I actually went through this process for two entire years before finally getting lucky. One thing that helped me remember to check the website to see if they had opened up any dates (back to that whole ‘busy mom life’ problem) is setting a simple daily reminder in my phone. There is some strict criteria for how often you can submit your name for tickets, but you can figure out those dates once you review the guidelines for applying for show tickets and then you can sort your reminder from there. Now…I’m going to tell you a little secret – here is where I ‘upped’ my game. I think there is power in numbers so I recruited some of my other Ellen-Fan-Friends to help! I volunteered to be in charge of keeping my thumb on the pulse of when the Ellen Show opened up their website to accept ticket requests (we know I was doing this anyway) and then I would text my ‘ticket-pursuing-coalition’ of girlfriends the web link when I saw it did. We would all request tickets and list each other as the guests we would like to bring! Finally…after two long and committed years…my BFF, Tara…got what she referred to as, ‘THE EMAIL’…and we celebrated!!! The date Tara got offered guaranteed tickets for wasn’t actually the date she requested (I think it was for a date that was week, or so, later) – that’s where the flexibility comes into play. We had to be able to bump our travel days from what we requested. I don’t think this is always the case, but it seems that we were able to at least go to the show sooner by being able to have some flexibility on our travel dates. Unfortunately Tara wasn’t able to make it in the end, but like the loyal friend that she is, she made sure I stayed on the audience list and I was able to still go to the show with Darren. That’s really it! It was fairly simple and mainly just took a small amount of effort and some time. Of course, you are probably wondering how the show was. I could go on and on about all of the exciting details, but I will just tell you that it was AMAZING and totally worth the wait! I will definitely be trying to work out tickets again in the future! One last quick thing…in the name of ‘teamwork’ we couldn’t have made it to the Ellen Show without my in-laws, who drove in from Saskatchewan to help with the twins while we ‘gallivanted’ to Burbank. Securing care for the kids was another really big part of the equation in getting to the show. So…thank you, Don and Carol! Waiting to enter the studio from the ‘Riff Raff Room’ which also doubles as the ‘Ellen Shop’!